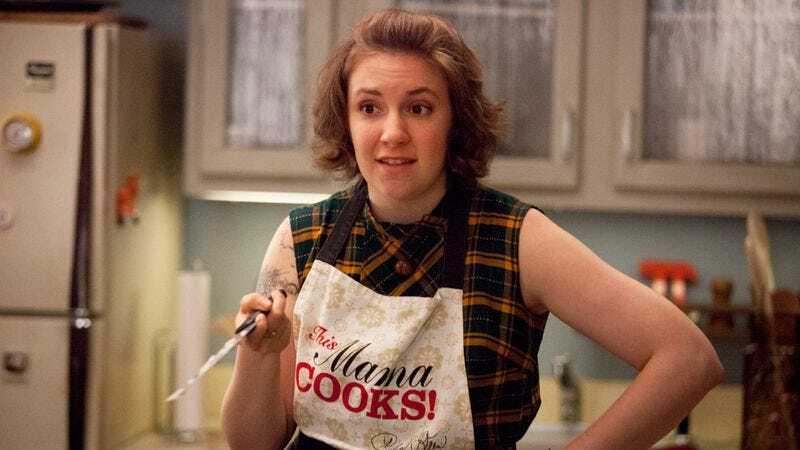 Last week, the University of Iowa rejected an application from HBO’s Girls to film on its campus, seemingly forcing it to settle for some less hip safety school in New York. But, like a plucky twentysomething determined not to let reality keep them from pursuing their Iowa dreams, the show will go to Iowa City, according to director Jesse Peretz—even if, like a lot of others there, it just has to fake it to make it for a while. “Even if we can’t shoot on campus, we will shoot around campus. Most of the scenes don’t even take place on campus,” Pletz tells Vulture, echoing the defiant explanations many a youngster has given to his parents about why they’re just gonna move to Iowa City anyway to be a part of it all, even if they have to audit some classes for a bit. And besides, you can learn everything you need out here on these Iowa streets. As Billy Joel once sang, Girls is in an Iowa state of mind, and now it needs a little give and take (the Quad-City Times, the Mount Pleasant News), even as it understands the university’s reasoning. “I think it’s probably a protective thing, like they don’t want to be complicit in being maligned or something. And then they haven’t invited you in to make fun of them,” Peretz said, which seems fairly telling of what the show plans to do when it’s there. Still, let Girls make its little jokes at Iowa City’s expense; the next night it’ll be back on the plane to New York with the rest of the wannabes.